From the outside the Distillery looks like any other building left derelict when the military left the area. However the view of San Francisco from the parking lot in itself is worth the trip (phone camera didn't do it justice sorry). After the tour you have your tasting, you can taste before the tour but I recommend the tour first so get there close the hour mark. The tour and tasting costs $15 and well worth it for the experience. I am not going to go into details on the tasting....why? You may ask well, I want your all to visit so you can understand the process and the passion that St George brings to the art of artisanal spirits. 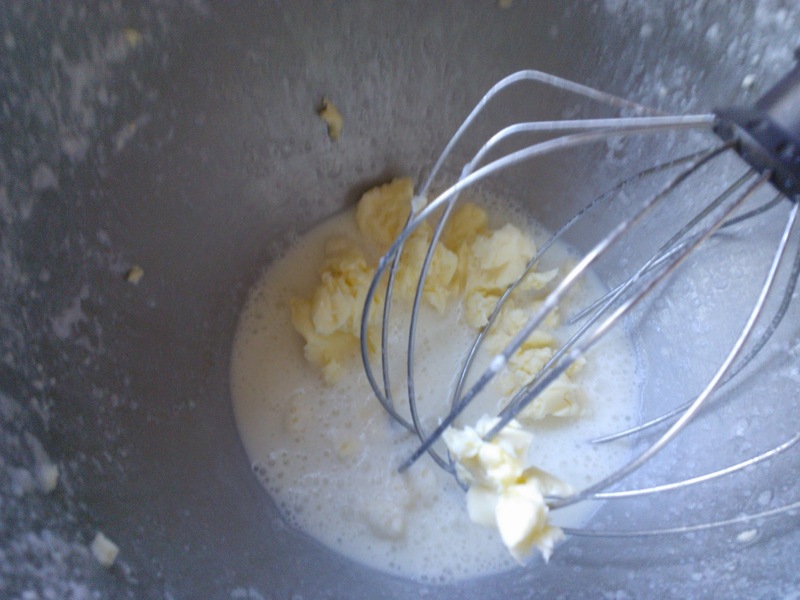 Making your own butter is probably the simplest thing you've never done. 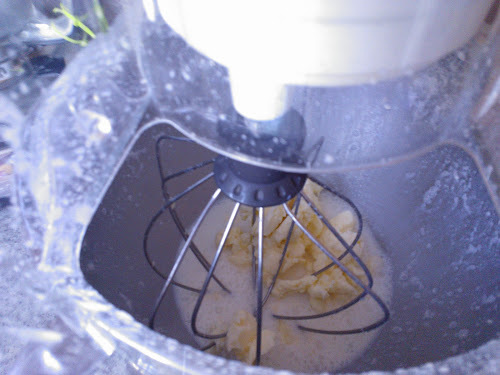 All you need is a decent stand mixer. Get some decent cream, organic or raw or just one those cartons in the dairy section. 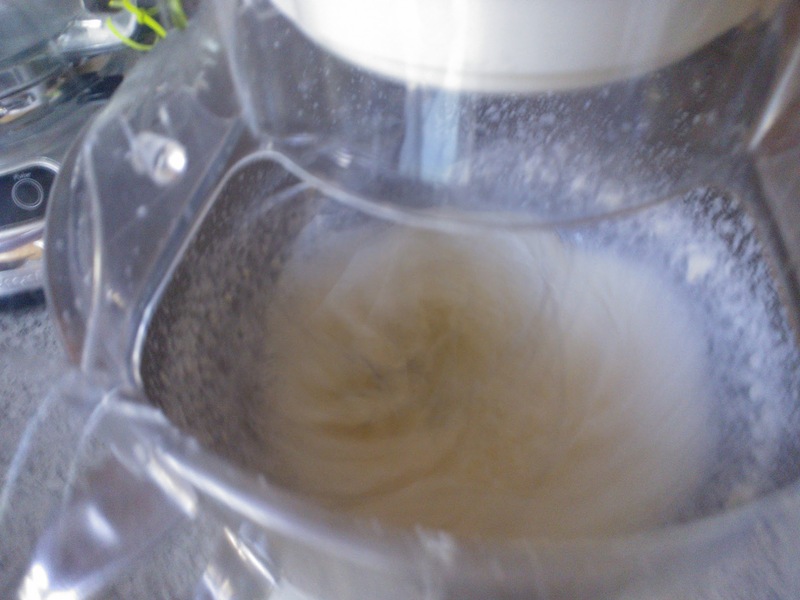 Dump it all into the mixer bowl, attach the whisk and whip the cream, just like if you were making a fancy desert. Now for the clever part, when you have achieved whipped cream, keep going. In fact if you haven't done so, turn the machine onto full speed. 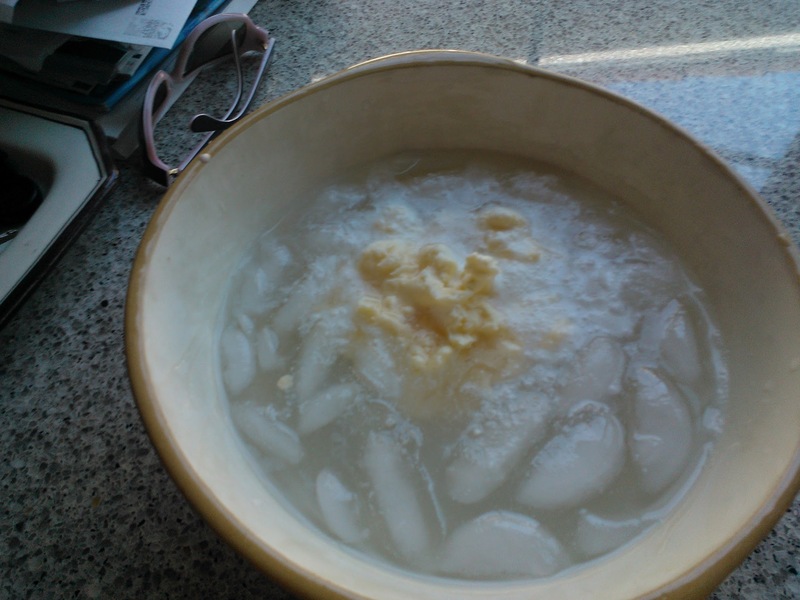 Then get a bowl and put some ice and cold water in it. You can basically ignore the cream until you hear a sloshing noise. The contents of your bowl will now look like a horrid roiling mess. Don't be scared keep going until you see something like this. You have achieve butter! scoop it out and place it in your ice water. Now massage it into a ball. This will squeeze the rest of the liquid out. Now take the butter and wrap it in parchment or cling film. What you made is unsalted butter, if you want to salt it then weight your butter, measure salt to 2% of the butter weight and mix it with butter. 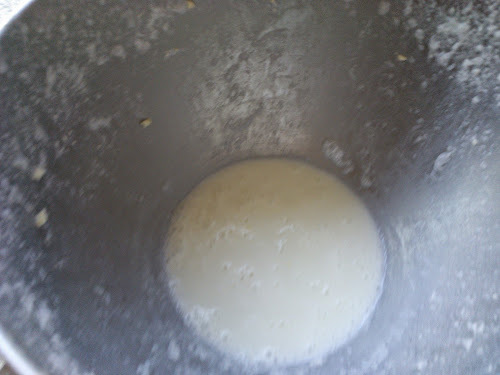 Now what about what is left in the mixer bowl, well that is Butter Milk. The real stuff not the artificial thick stuff you get from the supermarket. The goods is that this is acidic and be used in baked goods. So you might want to search this blog for Soda Bread and make, or perhaps, scones or muffins. Just don't throw it away.